Searching for reference sets and value domains works similar to searching within other terminologies. Quick search allows a comprehensive search across all terminologies and classification systems. Search results for reference sets and value domains appear as a separate categories (see screenshot). Searches can be based on name and ID (only exact match). 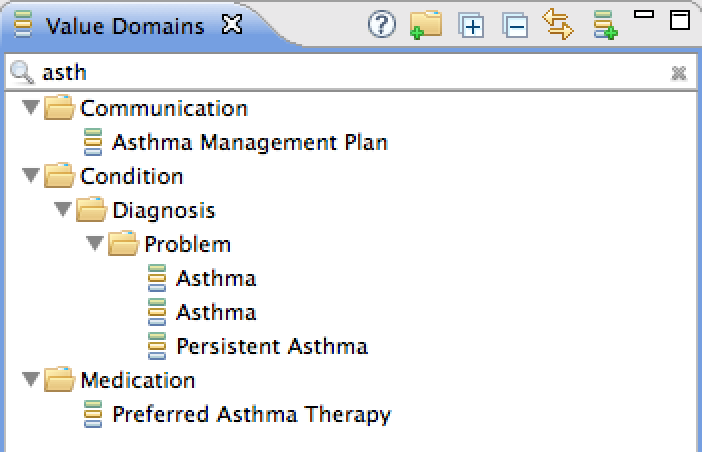 The value domains view allows to filter value domains. 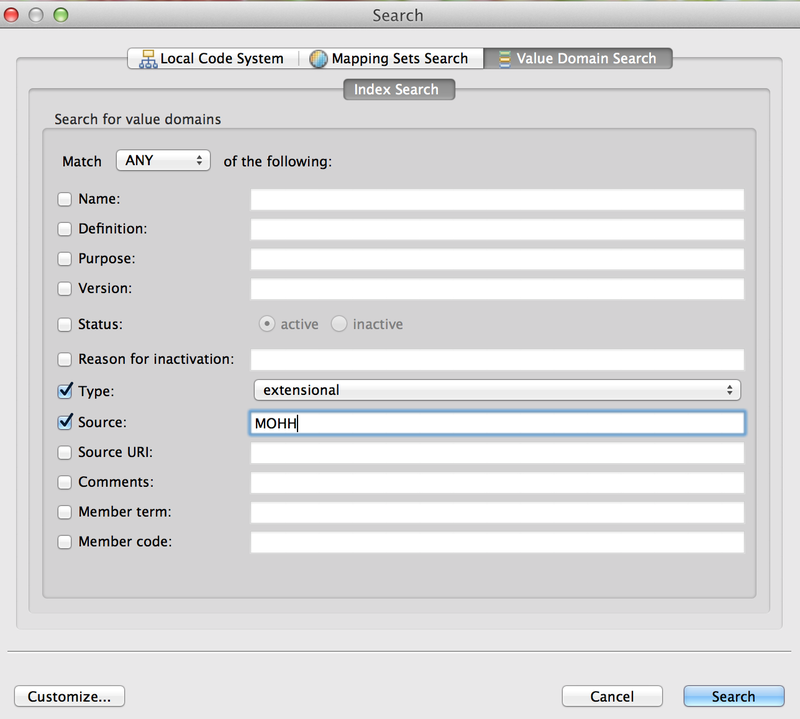 There is also an advanced search function for reference sets and value domains. Results are displayed in the search view. Reference set searches can be based on Identifier concept ID, name (Reference set label), and reference component type (e.g. 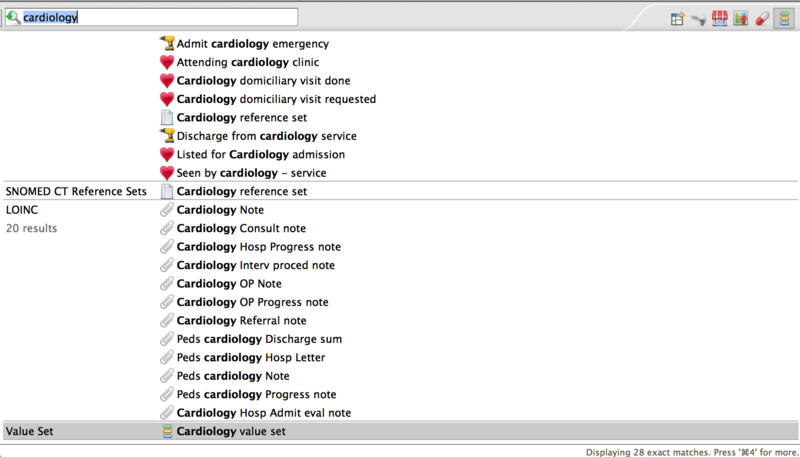 SNOMED CT concept, ATC).